Beaumont Federal Criminal Defense Attorney - Oberheiden, P.C. Are you under investigation by the FBI, DEA, USPS, or IRS-CI? Have you been contacted by the government or received a grand jury subpoena or a target letter from the U.S. Attorney’s Office for the Southern District of Texas? Are you accused of a federal offense? Do you seek to speak to an experienced Beaumont Federal Criminal Defense Attorney? 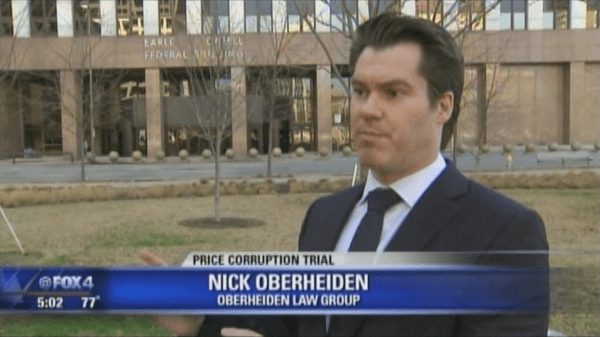 Meet Texas criminal defense attorney Dr. Nick Oberheiden. Nick defends clients in Beaumont, Texas that are subjects or targets of federal investigations or unjust criminal charges. What’s different about Nick— compare for yourself with any criminal defense lawyer you may find online— is that Nick only handles federal cases. This extreme focus give clients of Nick access to unmatched insights and experience of hundreds of federal cases. Beaumont physicians, health care companies, accountants, lawyers, and business owners hire Nick to avoid charges or fines in federal investigations involving the following situations. Nick does not delegate your case. No junior lawyer or paralegal will touch your case. Hiring Nick means having only Nick and senior attorneys handle your case. Call Nick today 866-Hire-Nick (this is Nick’s personal cell phone) and put an end to your nightmares! The Difference Nick Offers: No Charges in 92% of Federal Cases. What makes a lawyer a federal lawyer is not the title, but the experience. Truth is 95% of all criminal cases in Texas are not federal cases. They are state cases and involve DUI and assault etc. That means that 95% of all criminal defense lawyers do not appear in federal court. So would you trust a dentist to operate on your knee? 100% of Nick’s practice is dedicated to individual or business clients that are under investigation or under attack by the Department of Justice, FBI, the IRS, the DEA, the U.S. Secret Service, the Office of Inspector General (OIG), Department of Health and Human Services (HHS), the Department of Defense, the Department of Homeland Security, and other federal law enforcement agencies in charge of prosecuting federal offenses. United States v. Client (Whistleblower Case): Dismissed. Featured by the media for his federal litigation practice throughout Texas, Nick Oberheiden knows how the government investigates, when to intervene into a case, and how to make compelling presentations at the U.S. Attorney’s Office or in court. The sooner a client engages an experienced attorney, the higher the chances to shut down an investigation. Waiting, hesitation, and experimenting with unqualified lawyers can lead to fatal outcomes. Beaumont, Texas is part of the Southern District of Texas, which is one of 95 federal districts across the United States. The Southern District of Texas has a reputation for being particularly aggressive and resourceful making it more challenging than elsewhere to protect clients in FBI, DEA, IRS, and OIG cases. If you find yourself under investigation or have concerns about a federal case in Beaumont or throughout Jefferson County, you should immediately reach out to federal defense attorney Dr. Nick Oberheiden for a free and confidential consultation. Nick can be reached, including on weekends, on his cell phone at 866-Hire-Nick. 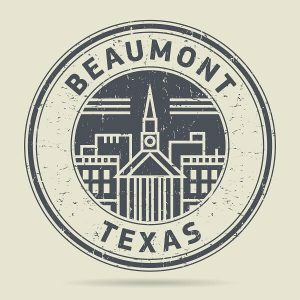 What Type of Cases Does the Government Investigate in Beaumont, Texas? As stated, Beaumont is infamous for being a strong enclave of federal law enforcement. The U.S. Attorney’s Office and federal agents investigate a wide range of federal offenses. The current focus of the investigation is the following offenses, typically investigated as federal conspiracies. Why Does the DEA Target Beaumont Doctors? Beaumont pharmacies and physicians that dispensed or previously authorized the dispensing of controlled substances to chronic pain or cash paying patients are under unprecedented federal scrutiny. The DEA claims that many of the prescriptions caused the national opioid crisis and now prosecute health care providers for prescribing medically unnecessary or excessive medications between 2014 and the present in violation of 21 U.S.C. 841 (unlawfully distributing controlled substances). What Penalties Could Physicians Face in Opioid Investigations? 21 U.S.C. 841 and 21 U.S.C. 846 (Controlled Substances Act) list significant penalties for prescription violations. Pursuant to drug diversion and drug distribution regulations, physicians, who are found guilty of having illegally dispensed controlled substances, face not just a revocation of their DEA and medical license, but also up to 10 years federal incarceration per occurrence. Hundreds of providers have been raided, arrested, and jailed across the country. If you have concerns, speak to Nick at 866-Hire-Nick and see how he has avoided charges and license revocations for his physician clients in DEA cases. What Are the Penalties in Federal Criminal Cases? Unlike juvenile court or state court, penalties in federal cases are almost never misdemeanors but are almost always felonies. That means, if convicted, probation and no jail time are extremely rare. Most federal felonies like health care fraud, opioid fraud, computer fraud etc. have a punishment range from 0-10 years incarceration per count. Mail fraud, wire fraud, money laundering and other federal offense types are even more severe and run from 0-20 years imprisonment in addition to fines. Have questions? Call rather today than tomorrow! A search warrant is an order by a federal judge that allows investigators to search and seize a particularly defined location. Basis of a search warrant is the government’s assertion that there is probable cause to find evidence or information relating to a federal offense at the place to be searched and seized. If your business in Beaumont experienced a search warrant, you need to understand that the business owners are targets of a federal criminal case. If you want to find out how to respond to a search warrant or how you can avoid a government search, then call Nick to discuss your situation as soon as you can to prevent worst-case scenarios. Should I Speak to the FBI? No, you should never speak to the FBI or any other federal agency without first discussing the matter with an experienced attorney, who would, most certainly, have to be present during the interview. Even if you are certain that you have done nothing wrong, don’t talk to federal agents. Before you know it, their skilled (and unsuspicious) interview techniques will make you say something you may regret without even knowing. If you hear rumors about agents contacting affiliates or if you encounter agents at your house or place of business, assume, no matter what you think you have done or not done, that there is a federal criminal case that involves you. As stated, Nick only handles federal cases. This extreme focus allows Nick to leave shoplifting and drunk driver cases to more traditional criminal defense attorneys while Nick can expand on his experience of several hundreds of federal cases he argued and defended before federal agencies, federal prosecutors, and in federal courts. Nick has appeared before virtually every federal agency including the FBI, the IRS, the DEA, the U.S. Secret Service, the Office of Inspector General, Department of Health and Human Services, the Department of Defense, the Department of Justice, the Department of Homeland Security, and other federal law enforcement agencies in charge of prosecuting federal offenses. The consultation is free. The retainer amount in a federal case largely depends on the stage the case is in. For example, if there are just some rumors and you seek a lawyer to be on stand-by just in case, that amount is different than you are planning to go to trial in a federal conspiracy case next month. Just call Nick and find out how he could help you within your budget. Call 866-Hire-Nick. Nick is available to speak with you when you call 866-Hire-Nick. No secretary and no amateur lawyer will waste your time. Dr. Nick Oberheiden limits his practice to federal law and he is admitted in the all federal courts and federal districts throughout Texas. If you would like to speak with or meet Nick (he resides in Texas), call him directly on his mobile phone, including on weekends, at 866-Hire-Nick. All consultations are free and 100% confidential. At the Law Office of Oberheiden, P.C. we also offer other types of Federal Criminal Defense Representation.